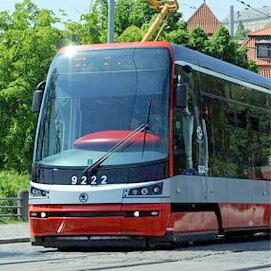 In Prague, three kinds of public urban transport: metro, buses and trams. Hours Metro: from 04:30 am. to 00:30 am. Schedule trams and buses at each stop there, with the precision of minutes. Schedule on Saturdays, Sundays, and on night trams and buses are separate. In public holidays transport operates on a Sunday schedule. Tickets can be purchased at newsagents, metro ticket offices or machines. Ticket must be validated (yellow punches are always at the entrance to the subway, bus or tram). On the ticket printed with the date, time and place of landing. From this point on your journey will be considered valid. In the case of control must produce a valid ticket. The penalty for ticketless travel - 800 Kc, payable locally. Hours Metro: from 04:30 am. to 00:30 am. Ticket price depends on the age of the passenger and the ticket time. Banks are open: Mon-Fri - From 8 am to 5 pm. Exchange offices are located in all major tourist routes and in hotels. In Czech Republic, each bank or exchange office takes a commission fee of 1% to 10% of the amount at the currency deposit. We advise to pay attention to the commission in exchange. Taxi: If you know in advance the trip time, it is better to order a taxi by phone - just call in 10 minutes, and the operator will contact by radio with the nearest driver. Planting costs 40 Kc, each additional kilometer - 25-35 Kc. 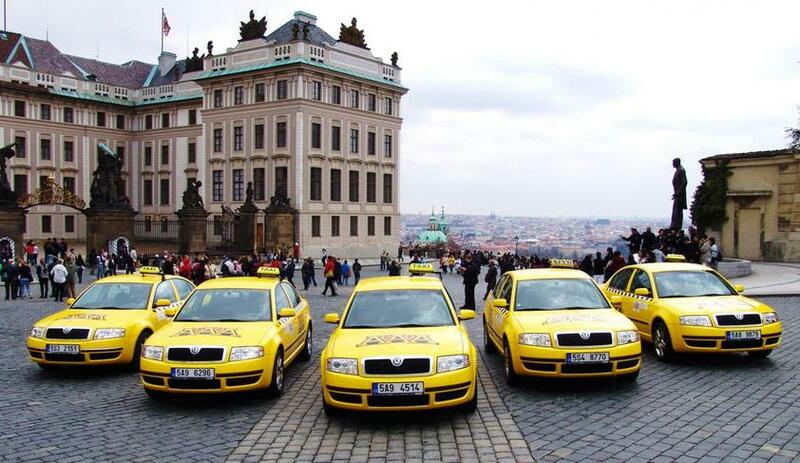 Prague taxis are owned by different companies, so the rates they set are different. Price for 1 km. - From 1 euro above. The most expensive taxis - those that serve the central area. Sitting in the car, ask prices in advance and make sure that the meter is turned on. Drive to the city limits is not less than 100 Ks, but must not exceed 600-700 Kc. If the amount you will seem too high, demand account and call the police.. 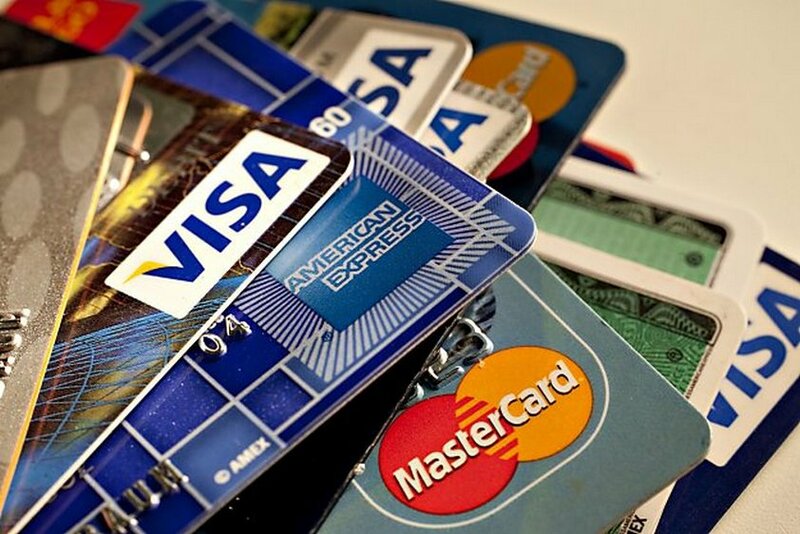 In Czech Republic accepted all major credit cards. MasterCard, MasterCard Electron, VISA, VISA Electron, American Express, Please pay your attention that all ATMs of the Czech Republic give only the official currency of the country - the Czech crown. – With the prepaid Karta X (300 Kc to 1,000 Kc), rates to the U.S. are roughly 13 Kc per minute; a call to the U.K. costs about 12 Kc per minute. – The cards are available at many money-changing stands and can work with any phone once you enter a 14-digit code. You do not need to find a booth with a card slot to use the cards. 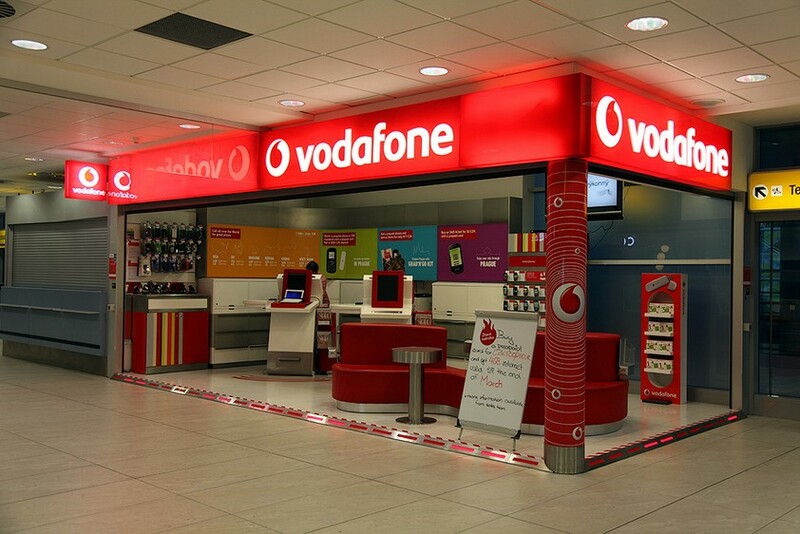 For calls from the phone box you need to buy a phone card. In the case of calls from hotel rooms, hotels reserve they right to set their own rates for international phone calls. 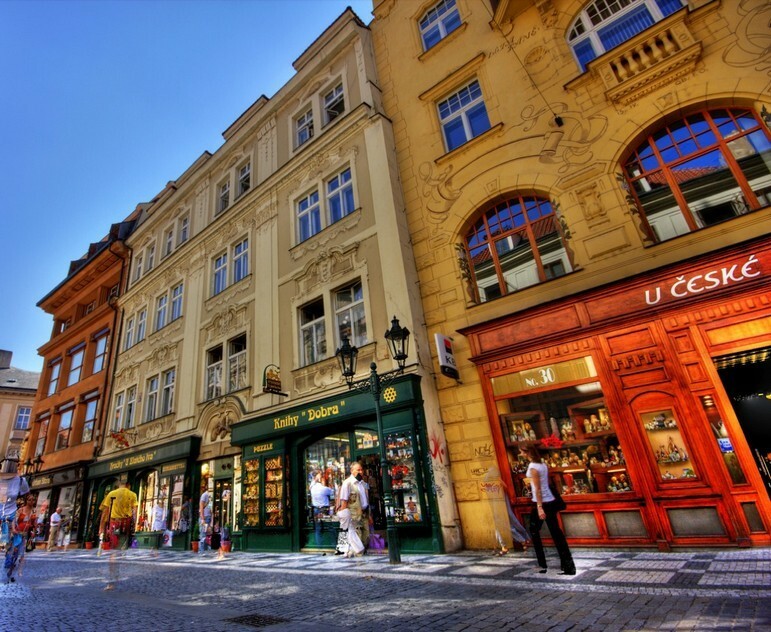 Shopping abroad - it is very advantageous .In most stores in the Czech Republic, is system of TAX FREE shopping. What does it mean? When you buying something in a shop in the amount of more than 2000 CZK, you can ask to issue Tax Free. So you, as a foreigner, are exempt from VAT, the amount of which will be returned to you upon departure from the host country. This is significantly (up 15.97%) reduces the cost of purchased goods you abroad. 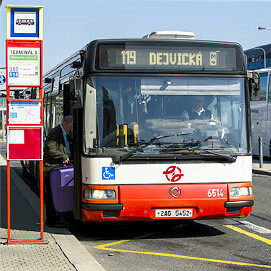 - Before leaving legibly fill in all your existing forms TAX FREE - out to put the Czech customs mark on all forms. Sometimes, in this procedure, customs officials may ask you to present the purchased items. Therefore, first, a better finish TAX FREE registration process, and then hand over things in luggage. Tourists traveling by train can make a mark of customs at the border or at the airport. And please note that the date of customs marks must be placed no later than 90 days from the date of purchase. General Post Office, located on the street Jindrišska 14, works round the clock. There is also a public telephone booth, where you can call anywhere in the world: the hall is open until 11.00 pm. Postage stamps can be purchased in any newsstand or tobacco shops. Time of work : From 9 am. till 10 pm. Supermarket from 7 am. till 10 pm . Location : Palladium Shopping Centre is located in the center of Prague on Square Republiky (Náměstí Republiky), just 5 minutes walk from the famous Vaclavske Square (Václavské náměstí) and Old Town Square (Staroměstské náměstí). Time of work : Every day from 9 am. to 9 pm. Supermarket is working from 8 am. till 10 pm. 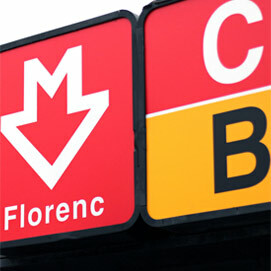 Location : Centrum Chodov is located at the exit of the metro station Chodov (Chodov) Line C (red). Time of work: From 9 am till 9 pm. Supermarket 7 am. till 1 am. Location : Nový Smíchov is located near metro station Anděl, Line В (yellow). Time of work : Every day from 10 am. to 8 pm . Time of work: from 9 am. to 9 pm. Location: Atrium Flora is located near metro station Flora, Line A (green). 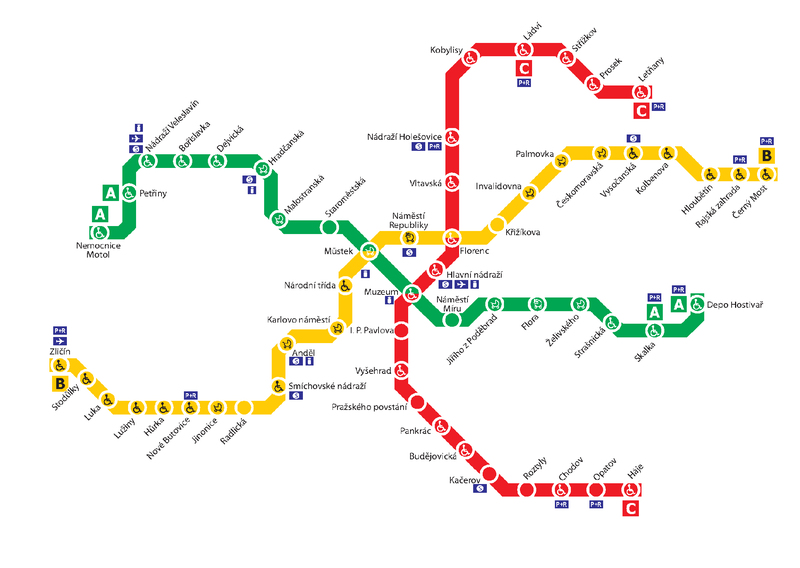 Location: Černý most is located in the end of the yellow line (B). If you are robbed, or you have lost the documents, contact the nearest police office or to a police officer and then to the consulate. Well, what would it not happened, follow the simple rules - the same as in all big cities: Be careful, watch out for a bag, purse, camera, camera, etc. Any medical assistance to foreigners is provided in the nearest medical center to the hotel or place of residence, the address and phone numbers of which can be found at the reception of your hotel. Be prepared for the fact that during a visit to the doctor you have to pay. Price of treatment - negotiable, in CZK. We recommend to keep receipts for payment, to then present them to the insurance company. 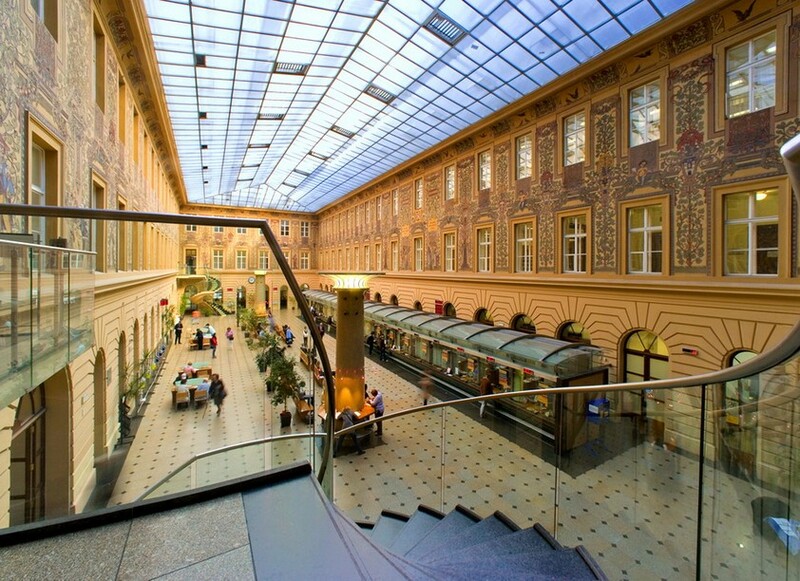 Office for foreigners is in the "Motol" hospital (Fakultni nemocnice Motol, V uvalu 84-1, Praha 5, ie:. 224 431 111, 244-321-01). Admission charges apply. Working hours 08: 30 am.-5 pm. Prague, Hlavní Mesto Praha, Czech Republic. Souvenirs in the Czech Republic are diverse and relatively cheap. 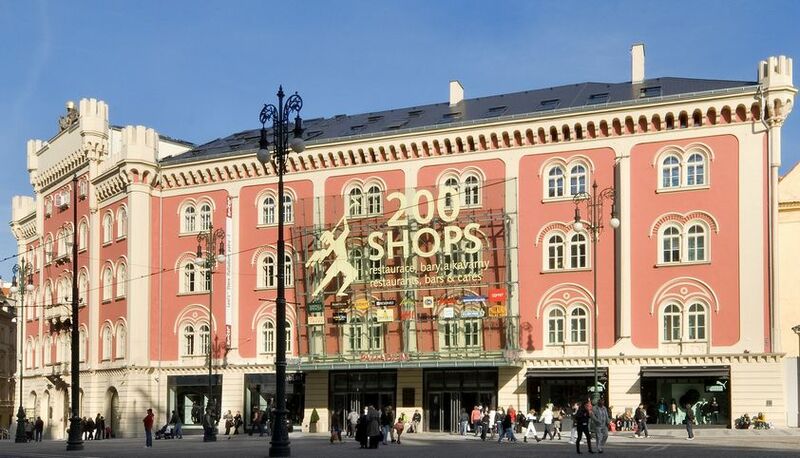 In Prague, it is better to buy in a department store "Kotva", located on the street Na Prikope. Prague - a beer river sealed in cans and bottles of various sizes, glass baubles, funny puppets, tin soldiers, guitar, Becherovka with the scent of bitter herbs and the taste of the pharmacy, as well as semidesyatigradusny absinthe, banned in many European countries. 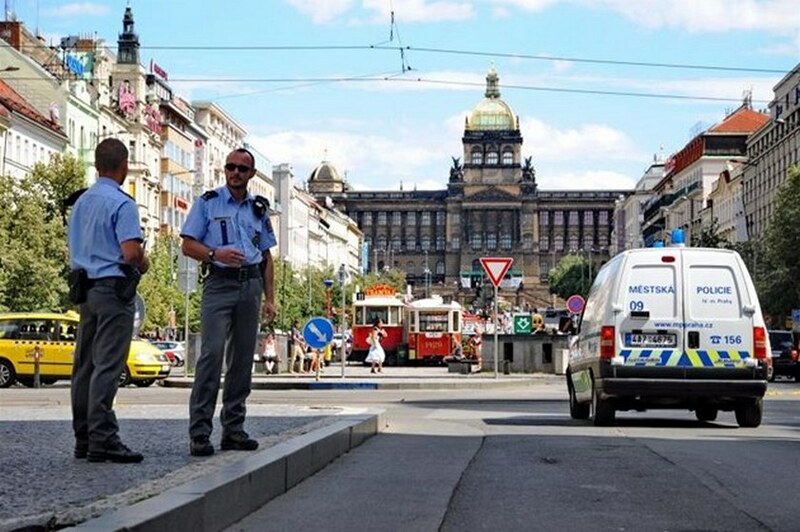 At the intersection of streets and Narodni Namesti shop you will find a cold weapon "Repuliki", where you can buy swords, spears, armor and guns.